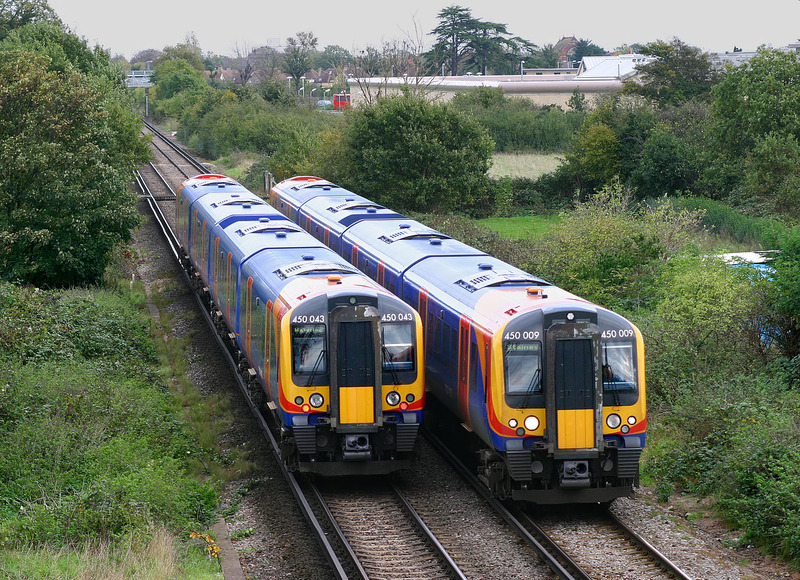 A lucky South West Trains EMU passing shot at Shortwood Common (near Staines) on 5 November 2005. 450009 heads west with a Staines service, while 450043 passes in the opposite direction, heading for Waterloo. Note the brand new Bronzefield Prison in the background.